Fila Vintage 'Legends Boxset'. 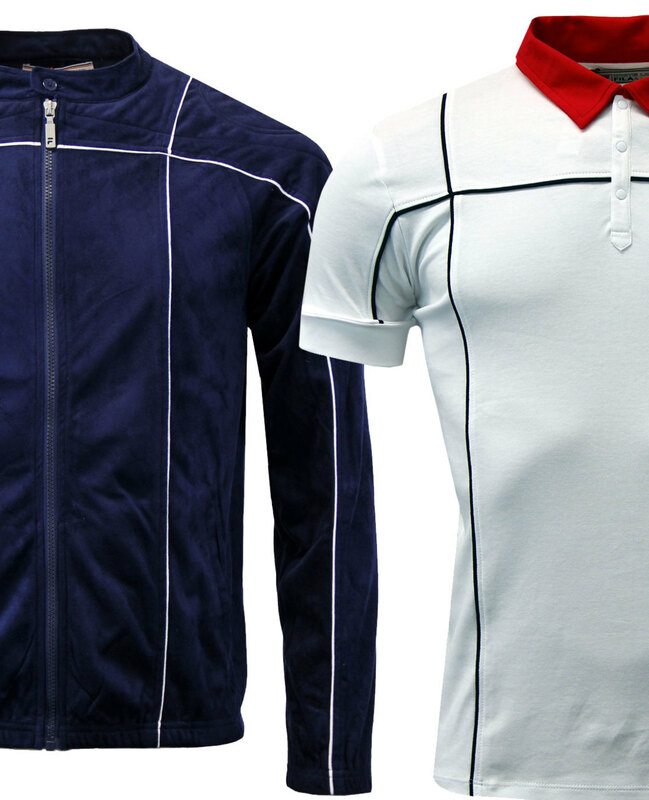 Inspired by tennis legend, Bjorn Borg, this fab Retro Legends box set incorporates the iconic Terrinda Track Jacket with piping stripes and a cool contrast collar jersey polo, once again with Terrinda piping trim. 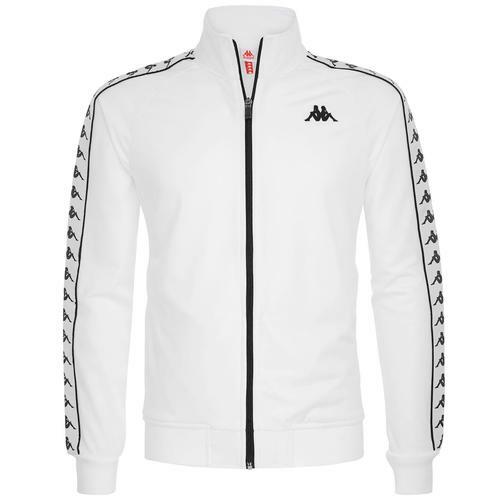 A great gift idea for fans of 1980s Casuals culture, or indeed for those in pure Retro style! The Legends Box Set by Fila Vintage includes two iconic styles in one fab presentation box! - Fila Vintage 'Legends Boxset'. - Terrinda Jacket crafted from soft velvet handle Terrinda fabric. - Retro racer collar with button detail. - Zip through with silver F cut out zipper. - Contrast white Terrinda piping trim. - The original Fila Big F box logo to left sleeve. - Biker style shoulder panel. 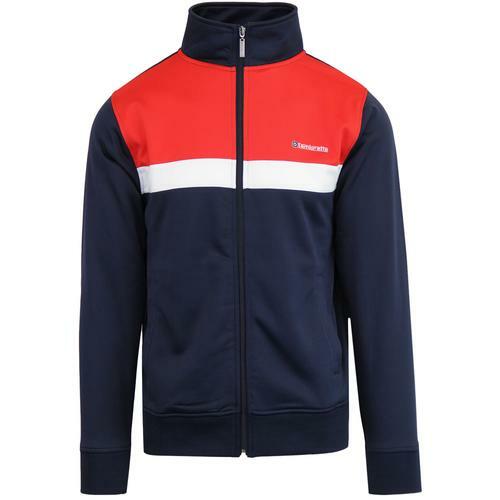 - Inspired by Bjorn Borg's Terrinda Mark III Track Jacket from 1982. 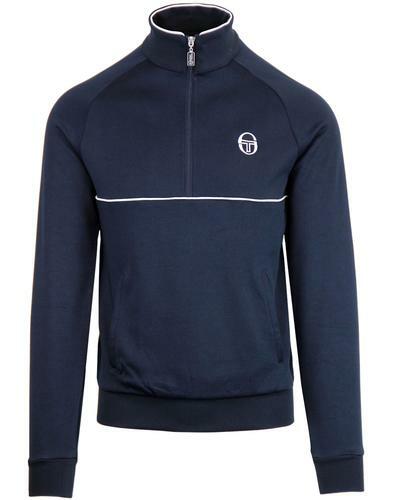 - SKU: FW!6VGM041 410 Legends Terrinda Track Jacket. Care: Due to the nature of the dyes, this garment should be washed separately. Exercise care when wearing over light coloured garments. Please refer to full care instructions. - Legends Polo shirt in white features Terrinda piping stripes in contrast peacoat. - Block colour red Mod polo collar. - 3 snap fasten placket. - The original Fila Big F Box logo to chest. - Chunky sleeve cuff detail. - SKU: FW!6VGM040 Legends Polo Shirt.